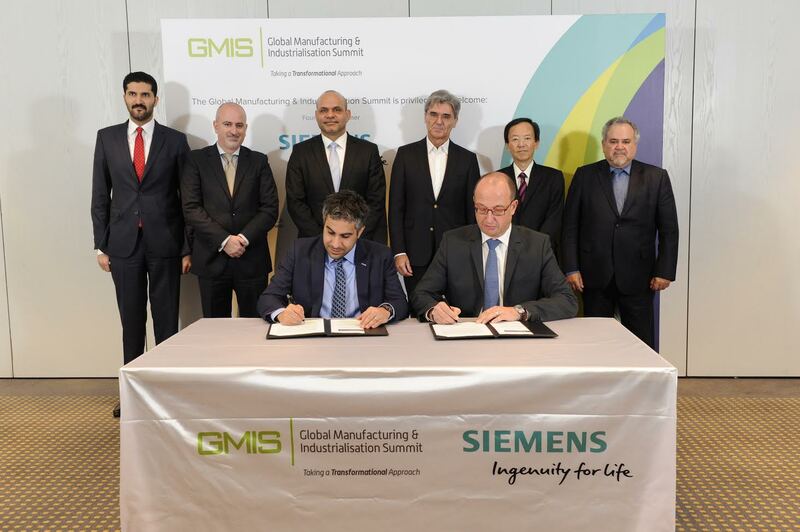 Berlin, Germany: Siemens will partner with the United Nations-backed Global Manufacturing and Industrialisation Summit (GMIS), to lead the development of a new generation of sustainable industry, which plays an active role in tackling global issues. Taking place in March 2017 in Abu Dhabi, UAE and co-hosted by the United Nations Industrial Development Organization (UNIDO), and the Government of the UAE, represented by Ministry of Economy, GMIS will bring together leaders from business, government and civil society to ensure the combination of technology and manufacturing – the fourth industrial revolution – is fully aligned with the United Nation’s Sustainable Development Goals. “We are proud of this partnership with GMIS and UNIDO. Together we will shape the future of global industry. With Siemens’ pioneering approach to the fourth industrial revolution, we will combine economic success and sustainability in support of the UN’s development goals.” said Joe Kaeser, President and CEO, Siemens AG. The 17 UN Sustainable Development Goals for 2030 put people, society and the environment to the fore, with ambitious targets to end poverty and hunger and to ensure fair work practices, gender equality and a clean environment. The Siemens partnership with GMIS aims to place manufacturing at the heart of global problem-solving and sustainable industrial development. Siemens, through its focus on electrification, automation and digitalization, has a major stake in global transformation across enterprise and the public sector. As part of its commitment to sustainable industrialisation, Siemens aims to be the world’s first major industrial firm to achieve a net-zero carbon footprint by 2030, cutting its carbon dioxide (CO2) emissions in half by as early as 2020. To achieve these goals, the company will invest some €100 million over three years in order to reduce the energy footprint of its production facilities and buildings. Ll Yong, Director General of UNIDO, welcomed Siemens’ partnership with GMIS. “UNIDO values Siemens’ support for GMIS. This signals the start of a long journey that can help bring solutions to some of the world’s most pressing problems, as well as offer new pathways for transformation in global enterprises,” said Director General LI. The future of manufacturing will be powered by the Internet of Things (IoT), where Siemens is already a pioneer in the use of digital technologies, combining the physical and virtual worlds to connect people, machines, processes and data through devices and sensors. IoT, according to McKinsey & Company, has the potential to generate US$11.1 trillion a year in economic value by 2025 and by focusing on electrification, automation and digitalization, Siemens has a key role to play in the increased productivity, flexibility and efficiency of a new generation of global manufacturing. In the run-up to GMIS in March 2017, the onboarding of further corporate partners will be announced. Plans for GMIS are being drawn up in collaboration with UNIDO, The UAE Government and strategic partners, The Economist Group, PwC and Thomson Reuters, are helping to shape the programme and its outcomes. As the world’s first cross-industry forum, GMIS is a global gathering for manufacturing minds. It is a voice and a venue for global manufacturing transformation. More than 1,200 delegates will attend, including world leaders, industry CEOs, policy-makers, specialist researchers and academics. GMIS will deliver (i) a voice for transformational ideas, (ii) a venue for the generation of new networks and cross-industry partnerships, (iii) a showcase for pilot projects arising from cross-industry research, and (iv) a post-event report with recommendations for action to be submitted to global stakeholders. It is planned that GMIS will be held in leading global cities every other year, with the inaugural GMIS in Abu Dhabi in March 2017.